Saturday, March 15, 2014, 4:00 p.m. 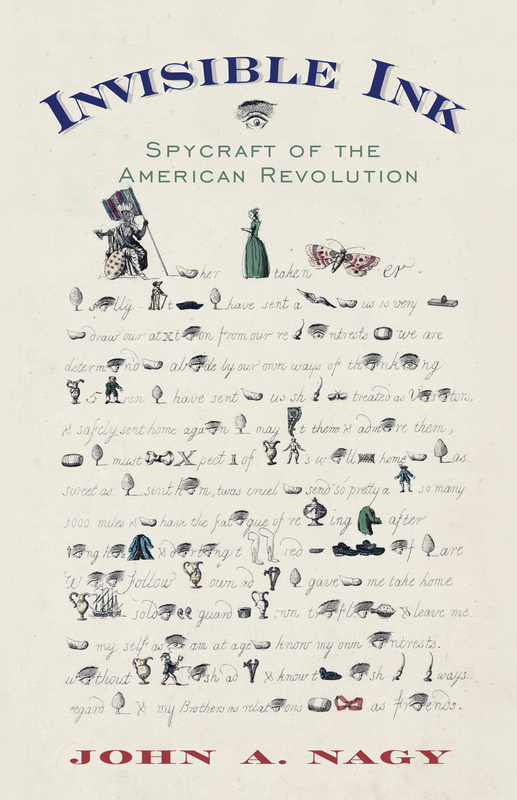 Award-winning author John A. Nagy will speak about an intriguing, secret part of the Revolutionary War based on his book Invisible Ink: Spycraft of the American Revolution. Explaining cyphers, codes, paper masks and hidden compartments, Nagy tells stories of the Revolution’s unsung heroes, including several based in the Hudson River Valley. Tickets are $8 at the door ($5 for seniors, free for students). Contact visitor services with questions. This entry was posted in Events, History and tagged american revolution, cipher, cypher, decoding, espionage, historic hugeunot street, hudson valley, huguenot street, invisible ink, john nagy, revolutionary war, spycraft, spying. Bookmark the permalink. How did they think of those names?